Hank Dennison, 60 years, of Coldwater, Michigan, passed away Wednesday, August 29, 2018 with his family at his side. Hank was born October 18, 1957 in Montpelier, Ohio, the son of the late Floyd Thomas and Roseleen (Miles) Dennison. Hank married Joann M. Perrault on August 9, 2004 in Tennessee, and she survives. Hank was a truck driver for Dennison Trucking. He was a member of the Bryan Eagles Aerie 2233, Sturgis Eagles Aerie 1314 and the Sturgis American Legion Post 73. Hank enjoyed bowling, fishing, playing pool, watching NASCAR, hunting and spending time outdoors. Hank had a passion for playing softball, which he played for years. 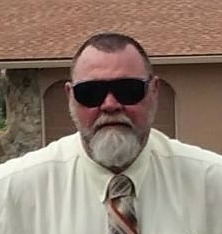 Surviving is his wife, Joann of Coldwater, Michigan; four children, Cheryl (Randy Stephenson) Combs of Sturgis, Michigan, Jason (Kim Cooper) Dennison of Montpelier, Ohio, Brenda (Jeff) Wanamaker of Sturgis, Michigan and Jeremy (Stacey) Dennison of Fayette, Ohio; 14 grandchildren and two great-grandchildren; three brothers, Junior Dennison of Kunkle, Ohio, James “Buck” (Jane) Dennison of Bryan, Ohio and Doug Dennison of West Unity, Ohio. He was preceded in death by his parents, sister, Norma Jean McGrew; two nephews, Alec Fisher and Billy McGrew. A gathering of relatives and friends will take place from 2:00 – 6:00 p.m. Tuesday, September 4, 2018 in the Oberlin-Turnbull Funeral Home, 202 North Liberty Street, West Unity, where a Celebration of Life will take place at 6:00 p.m. Tuesday evening. In lieu of flowers, those planning an expression of sympathy are asked to consider memorial contributions be made to the family.